1. Simple and Easy to use, no need to install any modules for home page gallery. 2. Home Page Galleryr Can Be Managed From Admin, Just Need to Create New Blocks and Insert Image Path and Assign It To Header Region, Each Image Need to Have One Separate Block. Blogger Showcase is blogger gallery of blogger blogs. 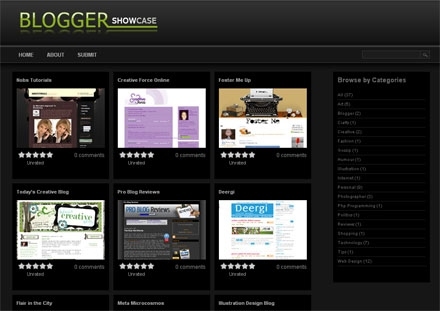 We showcase the best original blogger designs, content blogs and modified free themes. Please leave your comment and suggest as comments .